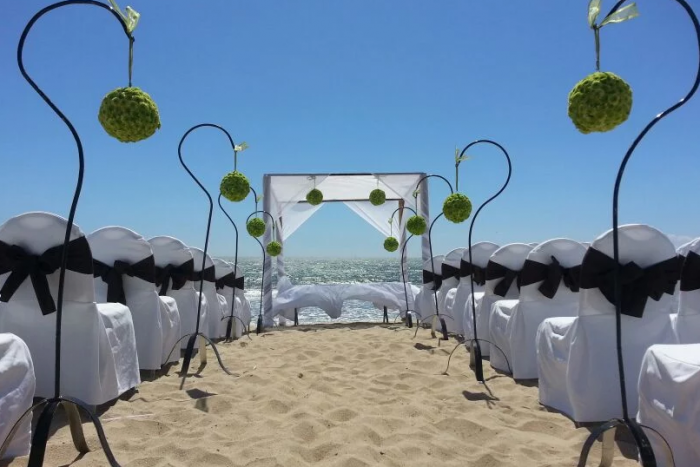 Located on Flamingos Beach and surrounded by the beautiful Banderas Bay and Sierra Madre Mountains, a RIU Palace Pacifico wedding is perfect for those who want the natural beauty of the landscape to infuse into their ceremony. There is an infinity pool that rests on the beachfront with an adjoining jacuzzi and separate pool for children. This hotel brings luxury and elegance to its highest form, so you and your wedding guests can feel one with their vacation. For a unique excursion book a horseback riding trip to the quiet beach town of Bucerias, nearby. 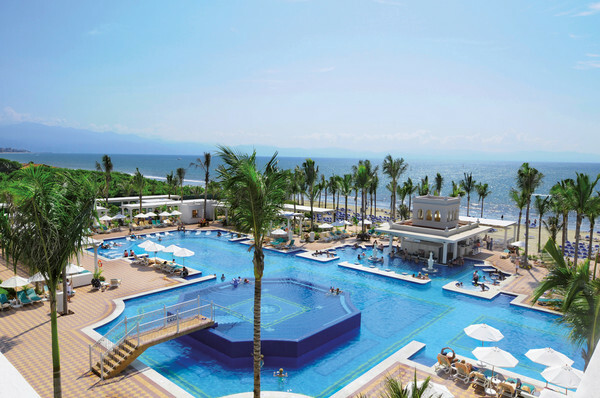 This resort offers exchange privileges with RIU Palace Vallarta, where adults can enjoy the on-site Discotheque nightclub, and further access to their amenities. If you plan to have your wedding during the months of February thru May, it is important to know that all rooms must have at least 1 guest occupying them that is at least 21 years or older. Rooms range from $110 – $180 per person per night. Every room includes a split-level living room area with two steps, and a hydromassage bathtub. Children ages 2 and younger stay free. There are 445 total guest rooms with views of garden or ocean. There is one building on the property that stands 9 stories high, with an extravagant pool in the front. Beach – 100 guests max, Gazebo – 30 guests max. All rooms allow up to 2 adults and 2 children max, or 3 adults. 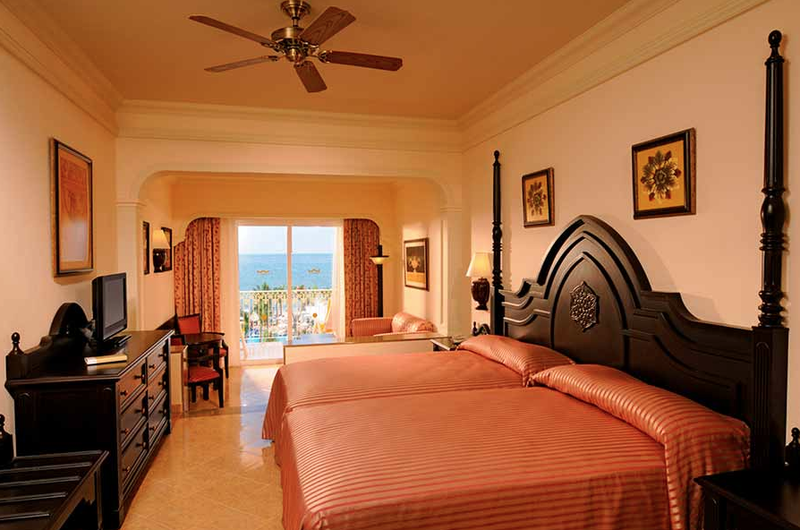 The 2 bedroom family suite room categories are the only rooms to allow 2 adults and 3 children max, or 5 adults. Adults-only rooms are available upon request with 2 adults max. Children are ages 12 and younger. 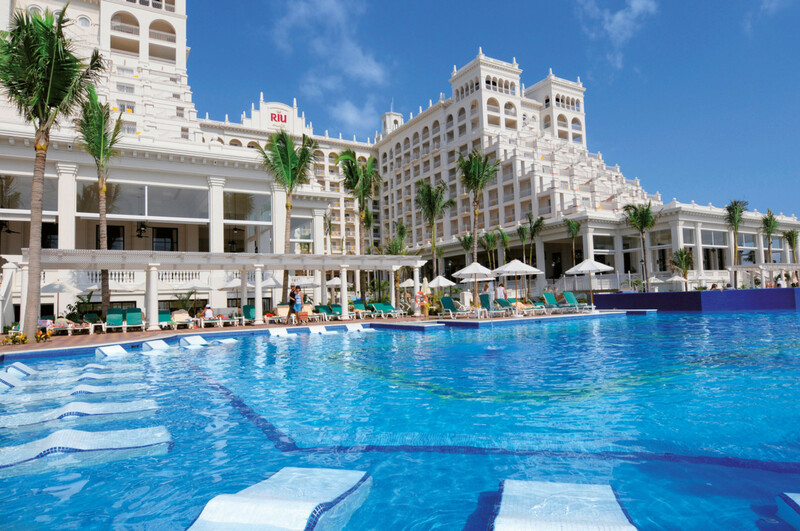 Hotel RIU Palace Pacifico is located 8 miles from the PVR airport. The resort is about 30 minutes outside of downtown Puerto Vallarta. A: I love how I am the last person that the bride see before she walks in, it makes me feel special. I love to see how my work can make this happen. Q: Can you tell me a time about when you saved the day for a bride? A: The zipper of the bride’s dress was broken, 5 minutes before the walk-in. She was crying, but I fixed it for her just in time! 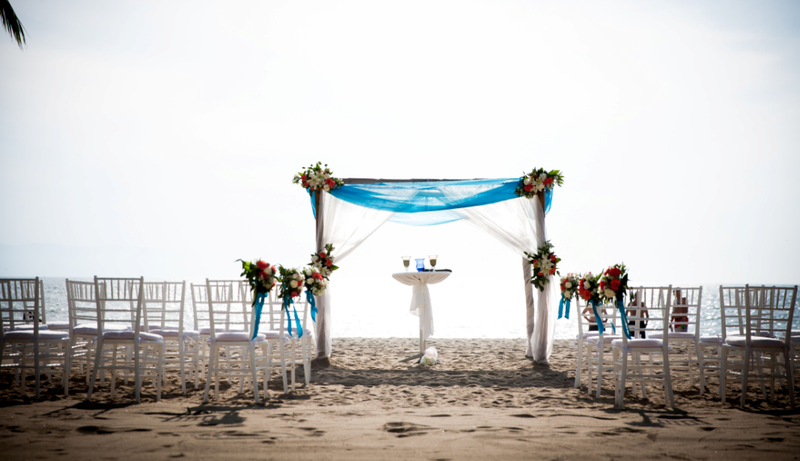 Q: What do brides usually RIU Palace Pacifico about? A: Friendly staff, good food, and the nice ceremonies with the minister. They love the flowers, and beautiful pictures from our photographer at our excellent locations.